Support offered by the ASPB to support student research. The American Society of Plant Biologists (ASPB) Summer Undergraduate Research Fellowships (SURF) fund promising undergraduate students so they can conduct meaningful research in plant biology during the early part of their college careers. SURF recipients are expected to present their research at ASPB’s annual Plant Biology meeting in the year following the fellowship award and research completion. Applications accepted at: https://aspb-surf.secure-platform.com/a/. Apply by March 15th 2018. Questions? Contact Tyrone Spady, tspady@aspb.org or 301-251-0560 x121. ASPB is offering a limited number of travel grants to attend the Annual Meeting. With additional support from the National Science Foundation (NSF), ASPB’s Minority Affairs Committee is offering a limited number of Recognition Travel Awards for students, postdocs, and faculty who are themselves members of groups underrepresented in the US scientific workforce and/or who are directly supporting the education and professional development of students in such groups. Recognition Travel Awards provide “full ride” fellowships to attend ASPB’s annual meeting, which will be held next year in San Jose, California, from August 3-7, 2019. The award includes coverage of travel to and accommodations in San Jose, California, registration for Plant Biology 2019, a per diem allowance, and membership in ASPB through 2020. Applicants do not have to submit a research abstract to be considered for this award; however, successful applicants with pertinent research are strongly encouraged to present that research during Plant Biology 2019. The goals of the program are to increase diversity among the annual meeting attendees and to provide access to the science and networking opportunities available at a major society meeting to those that might not otherwise have been able to attend. Undergraduate students are strongly encouraged to apply, as are graduate students, postdocs, and faculty. ASPB membership is not a requirement to apply. Check here October 8, 2018 for eligibility for eligibility requirements and instructions to apply. Applications close January 30, 2019. 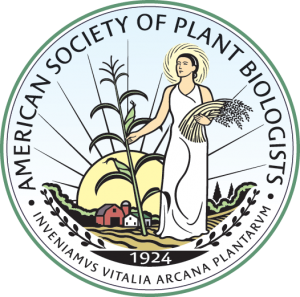 ASPB is offering a limited number of $575 travel grants to attend the Plant Biology 2019 Annual Meeting which will be held next year in San Jose, California, from August 3-7, 2019. This program aims to increase attendance of early career scientists at the annual meeting by providing travel funds for those in financial need. Increasing diversity among the annual meeting attendees is another primary goal. Undergraduate students, graduate students, postdocs, faculty, and professionals beginning their careers in plant science are strongly encouraged to apply. US Residency is not a requirement to apply. Check here October 8th, 2018 for eligibility requirements and instructions to apply. ASPB is offering a limited number of Sharon Gray Women’s Young Investigator Travel Awards to attend Plant Biology 2019 which will be held next year in San Jose, California, from August 3-7, 2019. Sharon Gray had a passion for and commitment to mentoring women in science. By naming the WYITAs for Sharon, we honor her contributions and seek to continue her legacy. The goal of the program is to increase attendance of early-career female investigators who are within the first five years of their appointment in academic faculty-level positions, government research positions, or industry research scientist positions, as well as experienced postdocs. Awardees must hold positions at an academic, industrial, or government institution. The Society with support from a fund established in memory of Sharon Gray has allotted $8000 to be given out in increments of $1000 for this program. Check here on October 8, 2018 for eligibility requirements and instructions to apply. Applications close December 12, 2018. Questions? Contact Sylvia Lee, slee@aspb.org or 301-296-0898. ASPB is offering a limited number of fellowships to support the education and outreach efforts of our members. In 1995, the ASPB established the Plant Biology Learning Objectives, Outreach Materials & Education Grant (BLOOME) grant program with the goal to enhance public awareness and understanding of the essential roles of plants in all areas of life. Questions? Contact Winnie Nham, education@aspb.org or 301-296-0902. Open exclusively to ASPB members, Transforming Education in Plant Biology offers financial support to successful applicants to participate in focused, substantive, and practical professional development with the aim of creating undergraduate plant biology instructional materials aligned with the recommendations of Vision and Change and ASPB’s core concepts in plant biology (http://www.aspb.org/education-outreach/higher-education/). Applicants can select from the suggested multi-day professional development sessions noted below or propose another program that fits with the recommendations of Vision and Change. The links below include information finding funding from other sources. Primer on funding from the NSF. Primer on funding from the NIH. Primer on funding from the USDA. Primer on funding from the DOE. Primer on funding from the USAID. Primer on funding from the DOD.